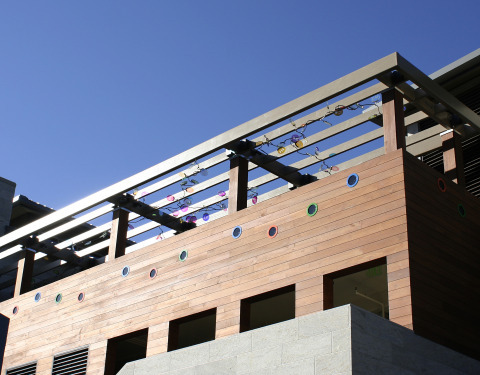 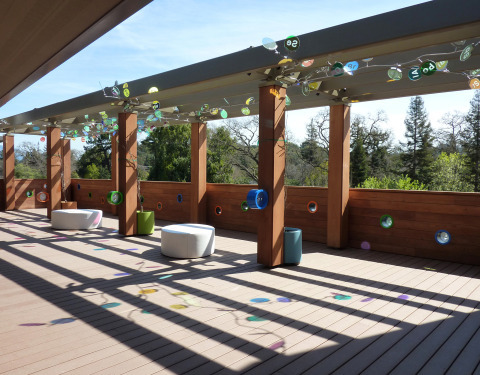 This 2nd floor deck area is designated for pre-school children, all the glass art elements are designed to be accessible for their eye-level. 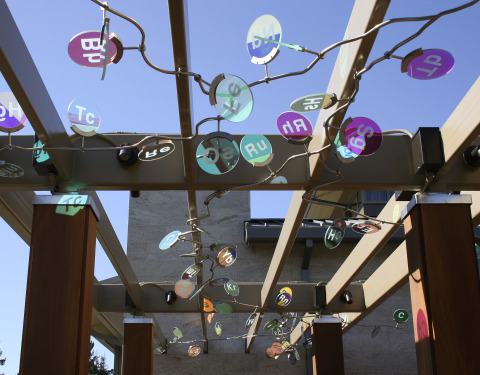 The letters from Periodic Tables of the Elements are represented within each 109 colored glass circles. 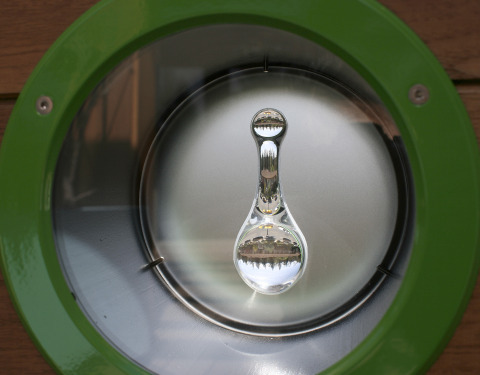 Organic pattern of stainless steel armature is inspired by the creek pattern in the city of Lafayette, supporting the hanging glass elements. 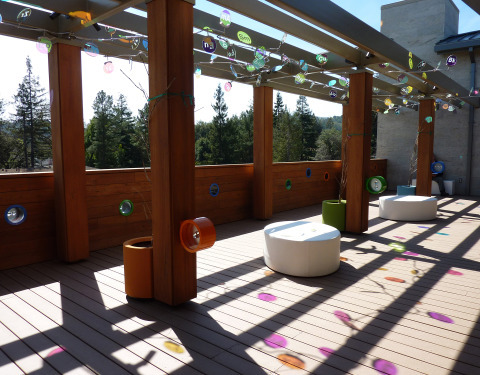 Reflections and colored shadow patterns from the glass art pieces move across the deck floor, giving small children an opportunity to witness natural light phenomena and optical illusions. 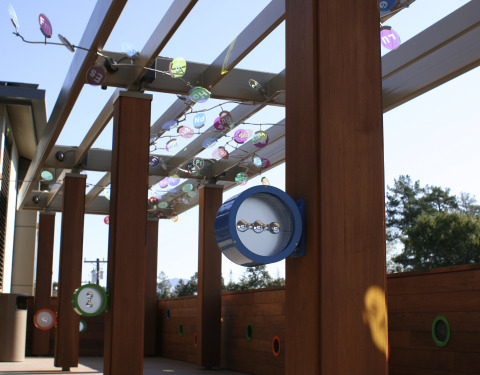 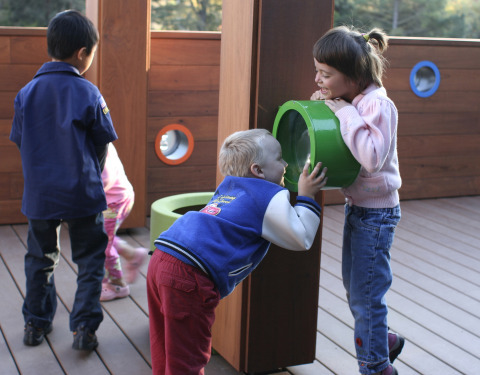 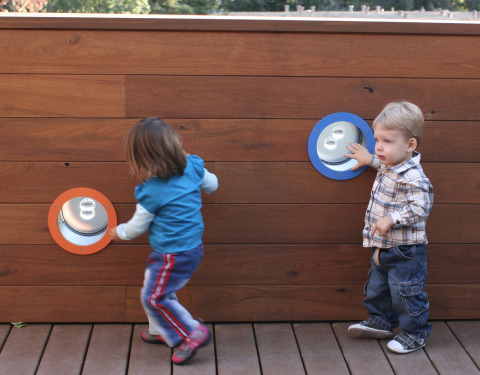 At the same time, letters etched into each colored glass disk represent chemical symbols from the Periodic Table, providing children another level of learning opportunity. 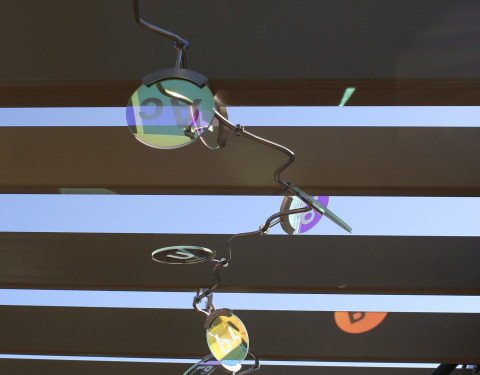 Handmade optical lenses, suspended in plexiglas panels, capture people in the background or the landscape beyond the deck wall, showing upside-down/reversed views. 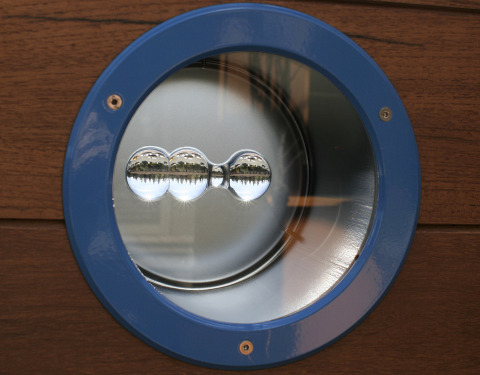 Each of the 16 lenses is unique in form, presenting multiple and varied optical illusions.